My Online MDX Training Course Is Now Live! 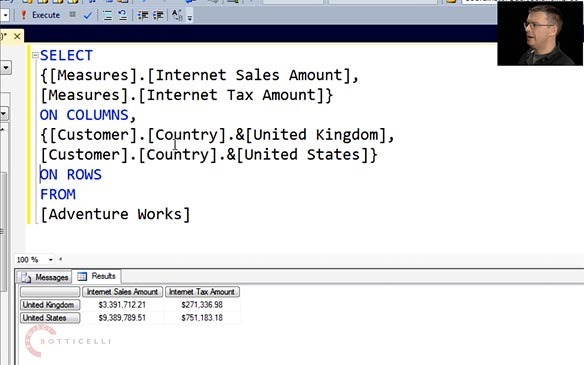 This video covers writing simple MDX queries and looks at the SELECT clause, the FROM clause and the WHERE clause. The cool thing is that it’s free to view – although you will need to register on the site first. 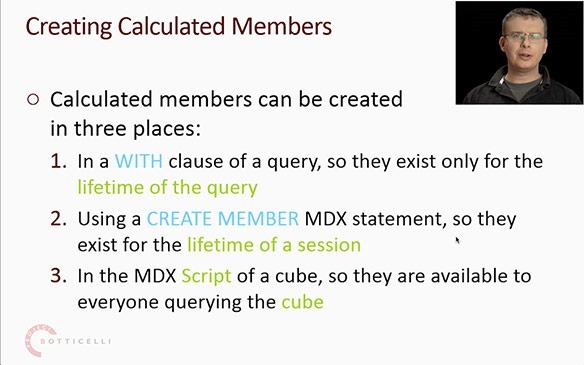 This video covers the basics of creating calculated members in MDX in the WITH clause and using the CREATE MEMBER statement. It’s available to subscribers only. Of course, if you prefer your training in a classroom, you can always attend one of my Technitrain courses in London next year. This is great – Thanks alot!